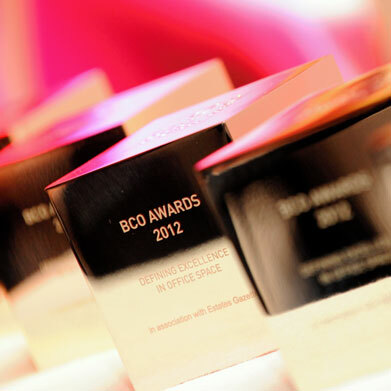 The BCO Regional Awards events feature all entrants. Winners are announced on stage and go forward to be shown in their winning category at the National Awards Dinner. 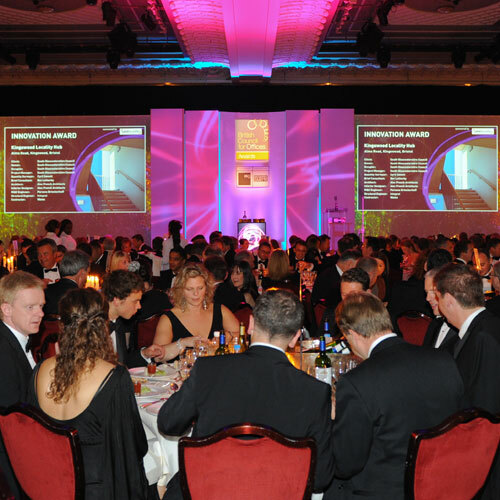 In total your project can be seen in front of at least 1,500 individuals within the commercial property industry. As media partner of the BCO Awards, Estates Gazette publishes our annual Awards Supplement which is distributed to their circulation list of circa 25,000 individuals in addition to BCO members, and attendees at the National Awards Dinner. Media coverage cannot be guaranteed but each year the BCO team send out post-event press releases listing our regional and national winners. In previous years coverage has appeared in Estates Gazette, Building Design, AJ, Construction News, The Guardian, and The Times. All entrants receive a copy of their score in comparison to the median score awarded in their category. All winners are promoted in the winners section. As a winner of our awards your project will be featured in our email newsletters and remain on our website as part of an ever growing library of previous winners. The BCO invite all winners to open their doors for a tour so that our members can take a look around, hear about the successes of the project and meet the team. This provides an excellent opportunity for informal networking and business development.